Welfare policy illustrates both the strengths and weaknesses of the American political process. The central political dilemma is how welfare policy can assist the poor without creating dependency. Although policy solutions tend to focus on the short term, they are often responsive to public input. This book explores why the debate on welfare policy has shifted to the conservative's vantage point. In discussing how political rhetoric shapes the welfare debate, Anne Marie Cammisa considers questions such as: What happened to welfare? How did it become a program fraught with problems and abuses? Why and when was welfare the answer to a problem?and when did it become the problem? She reviews our response to caring for the less fortunate and examines welfare policy from the federal to the state level. 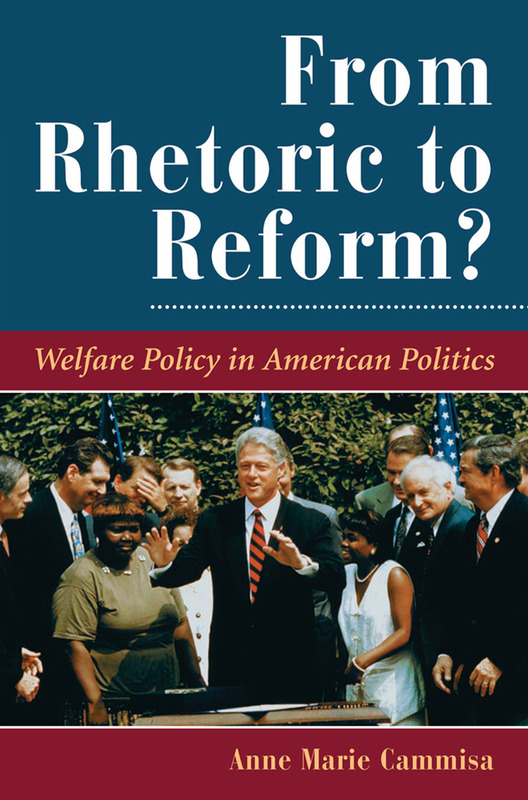 A chapter is devoted to the 1996 welfare reform bill and its impact on the states in 1997.